Welcome to Castle Darkmoor! Entry is limited. Wizards Level 100 and above may enter, if they dare. Muhahaha… Looking for a challenge? Then you will enjoy Darkmoor. Bring your favorite tanking wizards and copious free time to embark on this journey. There are several levels to each dungeon, but thankfully, we do not have to complete them in one sitting. There are three sigils within Darkmoor, Castle Darkmoor, Upper Halls and the Graveyard. 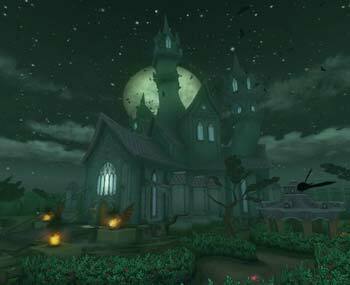 As we advance, teleportals appear in Darkmoor for quicker travel to the sigils. They are to the left if you are facing Castle Darkmoor’s entrance. 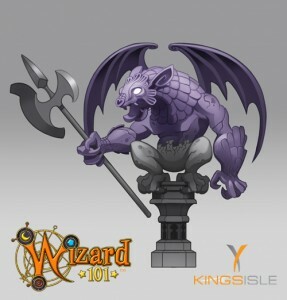 For background information regarding the Darkmoor dungeons, read this fantastic article on the KingsIsle Blog where the designers explain everything from the return of Malistaire to the depths of teamwork involved in their creation. Begin at Dworgyn for Branches of Woe. He leads us to Mortis who explains that the Exalted Lord of Death — Malistaire the Undying is back! He is in Darkmoor and he challenges us to battle in Castle Darkmoor. During the ‘My Brother’s Keeper’ quest, we speak with Cyrus Drake. Professor Drake explains Malistaire invoked the ancient custom of The Spiral, the Law of Kan Davasi and returns us to Dworgyn and Mortis. Mortis leads us to read the inscription upon the tomb of Noel Thornley to open the way. German: Because the dead ride fast. After speaking the phrase, a gateway opens. We enter Darkmoor and meet Renfield Flygob, Herald of Darkmoor. He is our guide into Castle Darkmoor, the Upper Halls and the Graveyard. We can flee any battle and return via Dungeon Recall. On your first run, bring Potions. Worst case scenario, you can flee, get health and Dungeon Recall. After you learn the dungeon, health isn’t as much of an issue and the Wisps will be enough. Resistant gear (such as Jade gear) can make these battles much less difficult. Resist/boost from all creatures is not always what we expect. It may take an extra blade to defeat these monsters than we are accustomed in regard to typical school resists for bosses and minions. We see fewer boss cheats if we can complete the battles in under 5 rounds. As you will see, careful planning is indicated. We recommend bringing a team of wizards on your first few runs due to the complexity. Soloing will be quite difficult, although I’m sure someone will make it eventually. The Astral Bosses bring back visions of Celestial dungeons. Remember how hard they were at first? Then we figured out all of their secrets and it became much simpler. This dungeon is certainly reminiscent of all boss cheats we have ever seen in the game. Global changes, interrupts, no Feints.. OH MY! One more word of caution before moving on- if for any reason a teammate is defeated in battle and the battle ends before they are healed, they may still receive credit for the battle although no drops. Do not move on to the next quest/quest dialog until they have returned to the dungeon. With any luck, they will be able to continue with you. Flygob leads us to the lonely path of Castle Darkmoor to seek the Secret of the Observatory. That secret will enable Mr. Flygob to lead us to Malistaire the Undying. Upon crossing the drawbridge, Malistaire the Undying appears before the sigil to threaten and warn us that things in the dark are bigger and scarier than us. Pfft! I would think by now he would know us! Howling Chaney is tasked with ripping our lungs out by Shane von Shane, Malistaire the Undying’s henchman. Healing Cheat: “You like the taste of Life?” Uses Gnomes! on anyone who casts a heal. Pet heals and MC Rebirth from the Root of Spring do trigger the cheat. Second Round Interrupt: “I sharpen my claws!” 12% Lifespear interrupt at the beginning of the second round and every other one thereafter. Third Round Interrupt: +35% x3 Life Fuel interrupt at the beginning of the third round and every three rounds thereafter. Chaney Spells: Hungry Caterpillar, Forest Lord, Guardian Spirit, Gnomes, Life Minotaur Dryad, and Curse. Minion Spells: Balance Forest Lord AoE, Balance Heck Hound, Sabertooth, Savage Paw, Chastisement Auras, Chimera,Power Nova, and Spirit Dispels. We can use all blades and traps. “Tremble under the power of Life!” is said randomly during hits by any of the team. Take off healing pets to avoid Gnomes! or use Entangles on Howling Chaney. This is an important step for Life hitters. There are Health wisps at the end, don’t worry about health for the next battle. Chaney is Stun Immune, but you can stun the minions. Stack Blades/Feints and hit once. Bring Cleanse Charm in case of a Power Nova/Weakness or add an extra blade and ignore it. You may get hit by more than one by the time you are ready to hit. As like most first dungeon battles, it is not terribly difficult. Sir Blackwater was distracted by Lord Shane von Shane who mocked him for believing Lady Tatyana loved him. He now serves the unending darkness. Weakness Cheat: “I reach inside myself to harm you!” Weakness triggers Sacrifice which will remove your universal traps and Death traps. Sacrifice Cheat: “I make this Sacrifice” At the end of every round of the first 5 rounds, Blackwater casts Sacrifice on himself which will use our universal and Death traps. “Darkmoor amores us” At the end of every round in this cycle, Sir Blackwater places an Absorb on himself. “I lay on hands” At the end of every round in this cycle, Sir Blackwater uses a Healing Current on himself. At the end of every round in this cycle, Sir Blackwater uses a Sacrifice which does use our universal/Death traps and his Absorbs. Sir Blackwater’s Spells: Balanceblade, Storm/Death/Life Blade combo, Virulent Plague, Storm/Death/Life Shield combo, Dark Pact, Glowbug Squall, Avenging Fossiland Call of Khrulhu. Also see Interrupts above. Darkmoor Serf’s Spells: Bolt, Catalan, Galacial Shields, Stormspear, Stormblade, Storm Lord, Storm Shield and Sirens, Healing Current, Dissipate, and 10% Supercharge. Darkmoor Squire’s Spells: Deathblade, Plague, Virulent Plague, Avenging Fossil, Sacrifice, Virulence, Vampire, Deer Knight, Ether Shield, and Strangle. The Global interrupts can be changed. We can heal. We can use traps. We can use shields. We can use dispels. Elemental/Spirit Blades result in 1 Disarm, therefore not ideal for Fire or Life wizards. Bladestorm results in a Disarm to the caster. Minions can be stunned, Sir Blackwater cannot. This is the first of many tough battles in this dungeon series. The next Astral bosses will do the 5 round Interrupt cycles as well. Wear your most resistant gear to Death and Storm. Bring your favorite healing pet! Sending in a tank wizard first round alone will help.Storm will want a Mass Prism. If you plan to be in the battle when the 5th round interrupt begins, bring a wizard with Rebirth to help recover from the all enemy hits. Try to cast when Sanctuary is up. Pierce/Shatter/Steal Ward are ideal if your hitter is using Storm, Death or Life damage due to shielding. Place Feints in the same round of your team’s hit due to the Sacrifice cheat during the initial 5 rounds or the Storm Cycle. Bring Cleanse Charms for the Plague and Virulent Plague on your hitter. When they stack, an off school wand is helpful, but be wary of any Balanceblades cast by your team before using. Defeating the Darkmoor Squires first will stop the Plague-fest, but then you are stuck in the battle for the Interrupts. I recommend hitting once and getting out. This is one of those battles that if we get out of it fast enough, before round 5, we will breathe much easier. Most of the time we can defeat this boss within a few rounds with a good team. Do you have a Myth or Fire wizard/mastery with you? Stun them for a round. At the end of the battle if you are in need of health, you can return to the previous room for Health Wisps. The door is located on the stairs to the Observatory. You must have a special Gold Skeleton Key to enter. The keys drop as housing items as a battle reward. Inside this door is a Treasure Chest with goodies like battle drops. The new mastery amulets drop here as well as other useful decks and gear. 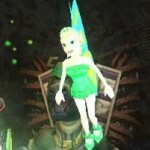 Read more in our Darkmoor Gear Guide. Time to unlock the Observatory Secrets. Shane von Shane does his best to keep you from it! Technical drawings reveal the Grand Hartmann Refractor that converts lunar rays to solar rays. When assembled correctly, a beam of pure and unadulterated solar light broadcasts. Pull the wrong lever or select the wrong lens, you will battle. What you battle depends on how you fail. Click the tabs to learn my findings. I am not convinced of the method in which we receive the boss battles. I spent two and a half hours to get the following results. Note the inconsistencies in the boss battle result. It could be that we receive a random enemy between the Scarlet Wampyr and Count Bella. E.g. : In the Malistaire the Undying battle, we get a mix of any three minions from any of the seven schools. Let us know your findings in the comments below. Fleeing out of the battle will not reset the lenses and filters. We must complete the battle then they will reset. Scarlet Wampyr’s spells: Scarecrow, Mass Infection, Infection, Deathblade, Deathspear, Feint, Death Trap, Curse, Dr. Von’s Monster, and Vampire. *Blue+Neutral produced a boss battle once. The following three times produced a mob battle. **Violet+Haze produced a boss battle 3 times in a row. The next three times produced a mob battle. Could a maximum amount of boss battles been reached? It didn’t matter who pulled the levers. Count Bella Blacksheep Rank 12 Death boss with 17,415 health and 3 Scarlet Wampyrs Rank 12 Elite Death with 7,415 health. Cheats: None. We observed no cheats toward blades, traps, shields, globals, heals, or may casts. *Blue+Neutral produced a boss battle once. Three times it produced a mob battle. **Violet+Haze produced a boss battle 3 times in a row. The next three times it produced a mob battle. Could a maximum amount of boss battles been reached? Rewards: Tier 2 gear observed and the Incendiary& Verglas Grimoire pets. 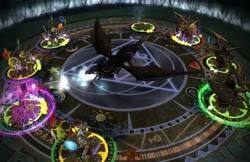 Four Rank 13 Elite Myth Darkmoor Gargoyles at 7,830 health block your path. This is a typical Myth mob battle. No cheats. Expect Basilisk, Medusa, Orthrus, Earthquake, Minotaur, Keeper of the Flame and Reliquary. They can be stunned. Continuing down the hall results in boss battle. He has the nerve to call us pitiful and pathetic! After him!! Blade/Spear Cheat: “I rip it from you!” Uses Steal Charm on any blade or spear cast. Unlike Sir Blackwater’s Disarm cheat, he does take the blade from where it is cast. No Elemental Blades for Fire/ no Spirit Blades for Life. No single blades like school blades, Balanceblades or Dragonblades. Bladestorm results in Steal Charm on caster. (We can steal them back with Steal Charm without penalty.) Weakness and Dispels trigger this cheat too. Random May Cast Cheat: “Take this!” Sometimes the Eidolons casta Lightning Bolt/Insane Bolt. It appears to be triggered by MC pets and the MC weapons. Akhtang Wormcrawl’s spells: Fire Dragon, Fire Prism, Fireblade, Efreet, Steal Charm and Sun Serpent. Draconian Eidolon’s spells: Lightning Bolt, Storm Lord Stormblade, Insane Bolt (They can defeat themselves and not return), Stormspear, and a lot of fizzles! We may heal, global, trap, Feint, and shield without penalties. We can Steal Charm blades from Wormcrawl. The minions can stun; however, Akhtang Wormcrawl is immune. Bring traps. Feints and school traps are helpful in this battle. Send a Tank in first round to endure the majority of the single hits. Storm hitter will need a Mass Prism and Fire a single Prism. Elemental Blades only for Ice and Storm hitters. Spirit Blades only for Death and Myth hitters. Sharpened, TC and/or gear Elemental Blades and Spirit blades are great to add. Bladestorms are okay for anyone except the wizard casting. Fire hitters do not have the easiest time here. Fire wizards must bring convert. Auras and Steal Charms are good tools. Have a friend cast a Wyldfire the round you hit. *Be warned of the cheat. He will use stolen blades to increase his damage, this is not a Disarm. Up the stairs on the right is another locked door. We use a Gold Skeleton Key to open it. Inside, he sure looks like our favorite Halloween villain, but he is not. First Round Interrupt:“Doom and Gloom” Bunferatu uses Doom and Gloom. Changing the global results in Doom and Gloom going up again. We can cast Strangle before casting our global to prevent it. End of Round Blade Stack Cheat: “Death sharpens my bite” Starting at the end of the second round, Bunferatu casts a Dark Pact+Deathblade+Balanceblade which stacks and removes our Universal/Death traps. Damage Cheat: “I plague you” Any time Bunferatu is damaged, he responds with an Infection to the caster. Bunferatu’s spells: Monster Mash Spell, Sacrifice. 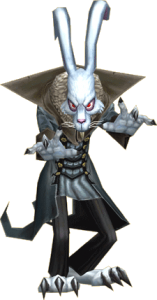 Darkmoor Squires’ spells: Scarecrow, Plague, Virulent Plague, Strangle, Virulence, Deathblade, and Vampire. Squire Wampyr’s spells: Strangle, Deathblade, and Vampire. Blade up & cast school traps quickly. Save Feints until the round hitting. Death will need a Mass Prism. It isn’t over yet! Two battles to go. 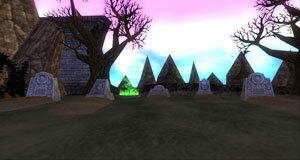 The Spirit of Darkmoor has the familiar cheats of Sir Blackwater although with different school cycles. I find this battle much easier than Sir Blackwater. Pierce Cheat: “This place defeats us all” At the end of each of the the first five rounds, Spirit of Darkmoor casts a Pierce on a random wizard. Blade/Global Cheat: “Burn Wizard” Blade triggers Fire Skeletal Dragon on caster. (Pet blades do trigger this cheat.) **Currently bugged, we cannot always see the damage over time spell, but we see the damage and can hear it. 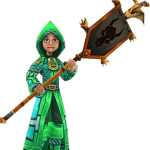 Minion Defeat Cheat: “The depths of Darkmoor strike at you” The Spirit of Darkmoor casts a Green Leviathan at the damage caster then gives health to all of the enemies, including defeated minions which brings them back. Damage to a minion with a single target spell also triggers this cheat. *We were able to avoid this with a defeat by a DoT effect. “Darkmoor holds my spirit” At the end of every round in this cycle, Spirit of Darkmoor casts a Regenerate on herself. At the end of every round in this cycle, Spirit of Darkmoor casts an Absorb on herself or a Link to a random member of our team. At the end of every round this cycle, Spirit of Darkmoor casts a Pierce on a random wizard. 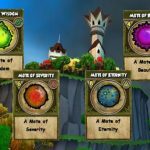 Spirit of Darkmoor’s Spells: Life/Myth/Fire Shield combo, Fire/Life/Myth Trap combo, 35% Balanceblade, Sun Serpent, Guardian Spirit, Regenerate, Forest Lord, Meteor Strike, Hungry Caterpillar, and Earthquake. 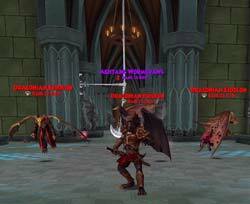 Gargoyle’s Spells: Mythblade, Earthquake, Basilisk, Mythspear, Minotaur, Myth Trap, and Orthrus. All blades and traps stick. Can change the Global Fields. Can Shield. Can Heal. I choose to ignore the Myth Efreet and the Fire Skeletal Dragon and use Blades and Feints. The strategy is identical to the other Astral School Bosses, use one hit to them all out before the 5th round if at all possible. 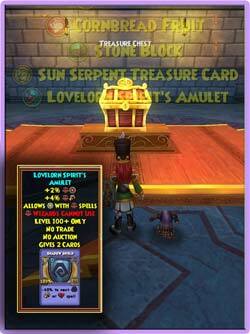 Myth, Life and Fire wizards will want a Shrike or Prism(s). 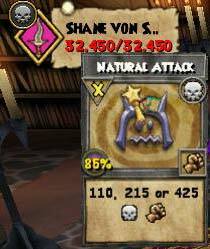 Shane Von Shane has the Spirit of Darkmoor’s Phylactery, holding her in the Upper Halls to haunt. I’m ready to release her. How about you?! Feint Cheat: “I can see through you” Feints on Shane von Shane trigger a Dark Pact which removes it along with any other universal or Death traps. Other traps and universal traps do not trigger cheat. (Feints may be placed on the minions without penalty.) We can use a Strangle to stop this cheat. Weakness Cheat: “I will not bow to you” Removes weakness with Sacrifice. **Reset the cycle by damaging Shane von Shane. Damage over time spells count as 1 hit toward the reset. We can now battle without ever seeing the Monster Mash Spell. Shane von Shane spells: Virulence, Vampire, Infection, Monster Mash, Dr. Von’s Monster, Lord of Night, Scarecrow, Mass Infection, Dark Pact, Doom and Gloom, Age of Reckoning, and Dream Shield. Darkmoor Serf spells: Bolt, Storm Trap, Healing Current, Stormblade, Stormspear, Super Charge, Galvanic Shield, Storm Shield, Catalan, Storm Lord, Windstorm, Dissipate, and Leviathan. Shane von Shane is stun Immune; however, the minions are not. We can cast all dipels. We can cast Globals. Heal only when necessary because of the Vampire cheat. Take off your healing pet to avoid the Vampires. Wear your best Death/Storm resistant gear. Sending in a tank first will draw some hits, but not the Shane von Shane cheats. The best defense to the cycle cheat is to it from occurring at all, particularly on the rounds before the big hit. Strangles also work. Other option is to use only single target hits once you reach the 4th round. 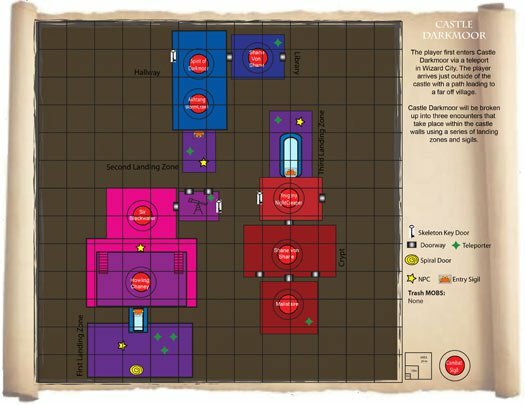 *If anyone on your team is defeated during the last round, DO NOT follow your quest arrow and go to “Find Phylactery in Castle Darkmoor” until they return using Dungeon Recall to the Upper Halls. They will not receive credit; therefore, not be able to move on. I have experienced this both ways. I have not received credit because someone moved on, and I have received credit by immediately returning before the next quest was picked up. Beguile: How does it work? Beguile makes you part of the caster’s team. It is intended to last one round which is where it gets confusing. Beguile starts the turn it is cast, and ends after 1 full turn. If we are Beguiled from second, it’s no big deal as our turn has already passed. If Beguiled from first turn placement, it actually lasts two rounds, the one cast and the next. Single target hits will still cast during the first round of being Beguiled. Shadow Enhanced Spell time! Exit the dungeon and speak to Tatyana. After getting our school spell from Tatyana, we enter a third sigil. Within are three battles. The toughest yet. Yevgeny pledged his wand to the House of Drake long ago, until they fell in the great wars. They served Vladan Drake, father to the Cyrus and Malistaire. Now he is stuck in the afterlife serving Malistaire. This Astral dude has some serious tricks up his sleeves! It is a bit intimidating at first look. *The cheats/cheat phrases in this battle are still buggy. There are times when the phrases appear at the same time and are illegible. We suspect Wizard101 will straighten them out. Ice Armor Interrupt:“I wrap you in armor” During the first five rounds, Yevgney Nightcreeper casts an Ice Armor on one of his minions or himself at the beginning of each round. These do not stack, do not be alarmed. They can be removed with: Pierce, Shatter, Mystic Colossus, Earthquake, and Steal Ward if you so desire. This will stop during the Myth Interrupt Cycle described below, but restarts during the Ice Cycle. Using a Spirit Armor, Ice Armor or any shield triggers a single Pierce on caster by Yevgeny Nightcreeper. A minion(or minions) may also cast a Steal Ward. Using a Blade triggers a Freeze on caster. Using a Global triggers a Freeze on the caster. Pet MC blades trigger a Freeze on the wizard. Weakness Cheat: Casting a weakness triggers an Empower which will remove our universal and Death traps. At the beginning of the 10th round, Yevgney Nightcreeper casts Saga of Heros , +35 Myth Trap on a wizard, 40% Mythblade and a Mystic Colossus. This happens again in every 15 rounds thereafter. At the beginning of the 15th round, Yevgney Nightcreeper casts a Doom and Gloom , +35 Death Trap on one wizard, +45 Deathblade and Call of Khrulhu. This happens again in every 15 rounds thereafter. Throughout this cycle at the beginning of each round, Yevgney Nightcreaper casts a 40% Balanceblade (Myth Spell) and an Ice Armor on himself or one of his teammates. Yevgeny Nightcreeper Spells: 40% Balanceblade (Myth spell), Call of Khrulhu, Mystic Colossus, Lord of Night, Monster Mash , Death/Ice/Myth Shield combo, Death Shield, Infection, Feint, Angel, Abominable Weaver, Bad Juju, Winter Moon, Freeze and Tower. See above in Interrupt Cycles. Anguished Wraith spells: Frostbite, Wyrven, Iceblade, Stun Block, Sleet Storm, Ice Angel, Tower, Lord of Winter, Icespear, Freeze, Steal Ward, Ice Trap, Winter Moon, and Wolly Mammoth. Heals are allowed. We can remove all of their shields. All Globals can be changed. Dispels are allowed. 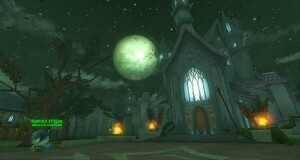 Yevgney Nightcreeper is Stun Immune; the minions will stun. Mystic Colossus is fun to cast against these creatures with all of their armor and shields (Fun, but not ideal since the shields are removed after our hit.) Shadow Shrike is ideal along with spears and some Armor Piercing. Pierce so you do not have to worry about removing them. In fact, since they don’t stack, I hardly notice the damage loss. I sill like to get out of this battle fairly quickly as multiple Snow Angels, Frost Giants and stuns slow us down. The Mystic Colossus will not take your stun Shields. Ice hitters need Mass Prism. Here we go again with Shane von Shane. This version is a bit meaner. He has the same cheats..and a few more. Cheater! He could be called a Stormblade master. Are you ready to fight a powerful Storm with stacked blades? Sounds like fun, right? Grab your best Storm Resistant gear. Damage Cheat: “Hiss! Bah, you are nothing!” Any damage to Shane von Shane triggers him to use a Healing Current (Including anytime he hits himself!) Damage to minions does not trigger. Feint Cheat: Feint on Shane von Shane triggers him to use Dark Pact which removes the Feint and any other universal or Death traps. These can be Strangled. Feints may be used on minions. Blade Cheat: “I revel in my power” Blades trigger Shane von Shane to use a 12% Super Charge. He will get the Super Charges whether the player who first cast the blade is still in the round or not. Weakness Cheat: “I will not bow to you!” Weakness triggers Shane von Shane to use a Sacrifice. At the beginning of round three, Shane von Shane interrupts with a Dr. Von’s Monster on a random wizard. At the beginning of round four and subsequent rounds, Shane von Shane will interrupt with a Monster Mash Spell on a random wizard every round. 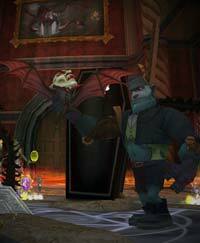 Shift Cheat: “Skree!” Darkmoor Gargoyle will use Shift. Darkmoor Serf’s spells: Leviathan, Galvanic Field, Healing Current, Dispel, Super Charge, Storm Shield, Sirens, Storm Lord, Catalan, Stormblade, Stormspear, Storm Trap, and Storm Shield. 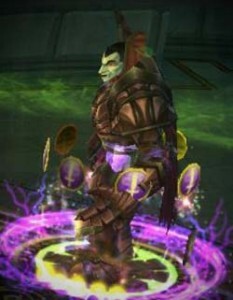 Darkmoor Gargoyle’s spells: Basilisk, Orthrus, Minotaur, Mythblade, Mystic Colossus, Celestial Calendar, and Vaporize. Shields have no penalty. Minions can stun, Shane von Shane is immune. If you have Storm or Storm/Death resist gear, use it! As we use blades, he uses blades. His blades will stack and if his pips are high, so are the blade percentages. Don’t be surprised to see 4 blades go off at once. He uses powerful Storm and Death spells that hurt. In fact, if you notice a Shadow Pip on him, brace yourself or dispel. He will most likely use a Glowbug Squall or a Call of Khruhlu. Resist gear is your saving grace. Sanctuary will stay up most of the time if you so choose. Health is definitely an issue. Remember, every caster of a heal or pet heal will receive a Vampire (~1100 Death damage) unless it is Strangled. Heal only when necessary because of the Vampire cheat. Take off your healing pet to avoid the Vampires. Wear your best Storm resistant gear. Sending in a tank first will draw some hits, but not the Shane von Shane cheats. The best defense to the Monster Mash cheat is to keep them from occurring at all, particularly on the rounds before the big hit. Strangles also work. Other option is to use only single target hits once you reach the 4th round. Storm wizards can use a Mass Prism; however, place it as close to your hit as possible due to the frequent Storm Shields from the Serfs. Storm wizards can use Steal Charm (Amulet is 1 pip) to steal and stack one of Shane von Shane’s big Supercharge blades. Life/Myth/Storm will want to bring a way to remove shields or Armor Pierce/Shrike. For Fire wizards, a Backdraft cast by a Fire teammate works well. Stun strategies can be successful for Fire/Myth wizards or those with Fire or Myth Mastery amulets and treasure card Chokes or Blinding Light. To stun the minions every round, two wizards need to stun. One to Stun, one to remove the Stun Shield. The stunning wizards must have high accuracy since a fizzle can bring hits for which we may not be prepared to withstand. Working as a team helps tremendously. Strangle will assist to get on a Feint or two. In one round with two wizards: Strangle then Feint. Stack blades on one wizard and hit within 4 rounds for the ideal run. Don’t sit around with blades on too long because of the Glowbug Squall. There are Health Wisps outside if needed after the battle. If working solo or in a small group where four rounds isn’t a possibility for you, consider using single enemy attacks an heals to keep from helping the enemy while Beguiled. This is like two battles in one. Malistaire the Undying first appears with his minions. Once defeated he returns with 99,999 health. His Bone Dragon, perched on the rooftop, reaches through a gaping hole and attacks. 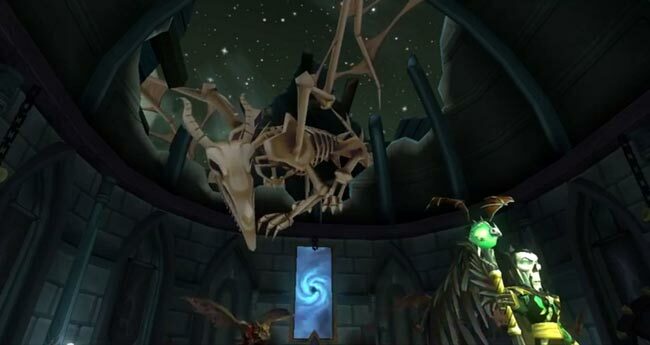 Mali has a special Skeletal Dragon spell that summons the dragon from the roof. It is not cheat or an interrupt. It is an 8 pip spell with Death damage of 666 + 333 over three rounds to all. Be aware, add his Armor Piercing to his buffs including Global and Aura and this Dragon can hurt! We can shield these and Triage/Mass Triage. *There are still a few bugs with this battle such as the cheat phrase timings, the minions cheats, and the Mali glitch described below. 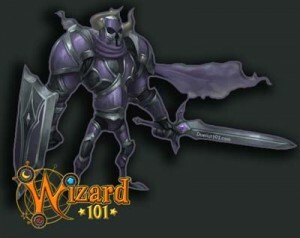 We suspect Wizard101 will update these soon. *Malistaire the Undying comes back as Haunted Malistaire the Undying. Once defeated, the minions never return. Bladestorm/Balanceblade Cheat: “What was yours is mine!” Casting a Bladestorm triggers a Steal Charm from the caster. Casting a Balanceblade triggers a Steal Charm on the Balanceblade. Gear Balanceblades included. Pets given and MC Balanceblade not included. Tower Shield Cheat: Tower shields trigger a Steal Ward. Legion Shields result in Steal Ward on caster. Pet’s MC talents included. Does not include shield from Abominable Weaver. Weakness Cheat: Weaknesses of any kind trigger an Empower to be used which will use any Death traps. Dispel Cheat: Dispels triggers Cleanse Charm. Tri-dispels trigger 3 Cleanse Charms. Minions use spells as Interrupts. This is dependent, of course, on which minions you face. (We are still working these cheats out, but for now they are like may casts. They do not interrupt every time.) 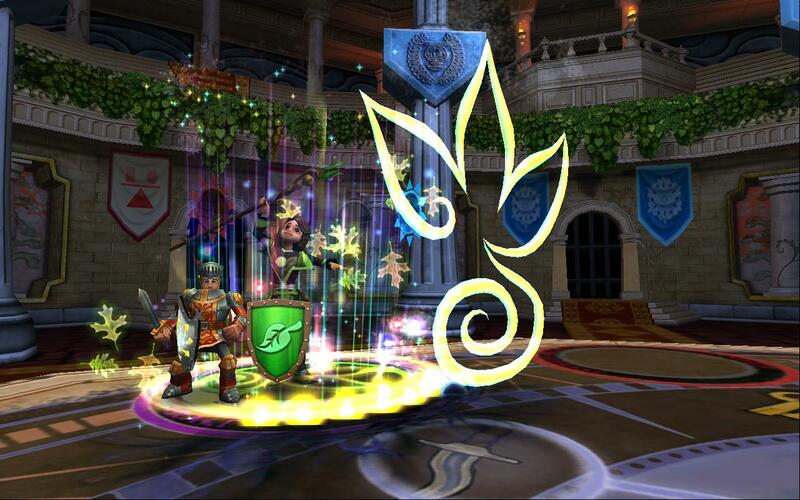 The cheats are triggered by Star auras, pet/weapon May Casts, traps and prisms. Mass Infection Cheat: “Take this!” Draconian Necromancers use Mass Infection. Wild Bolt Cheat: “Take this!” Draconian Diviners use Wild Bolt. Shift Cheat: Draconian Conjurers use Shift on damage over time spells cast on them. Clear All Charms/Wards Interrupt: “It’s power shakes your spells apart.” Every 5th round, the Bone dragon drops down from the ceiling and clears our positive and negative charms and wards from all. Does not remove Stun Shields. Bladestorm/Balanceblade Cheat: “What was yours is mine!” Casting a Bladestorm triggers a Steal Charm from the caster. Casting a Balanceblade triggers a Steal Charm on the Balanceblade. Pet’s MC included. Pets given Balanceblade not included. Gear Balanceblades included. Tower Shield Cheat: Shields trigger a Steal Ward. Pet’s MC talents included. Does not include shield from Abominable Weaver. Dispel Cheat: Dispels trigger one Cleanse Charm. Elemental Dispel triggers one cleanse of the Dissipate. Haunted Malistaire the Undying’s spells: Shadow Blade, Shadow Spear, Shadow Trap,+25% Shadow Trap to all,and Shadow Drain Attack. Malistaire the Undying is Stun Immune. Minions stun. Globals are allowed. Heals are allowed. All Dispel’s fail. All Universal traps fail. Storm needs Prism for Mali. Leave your pets with MC Tower at home. Remove every Balanceblade from your deck so you are not tempted to use it in this battle. Universal traps can only be used for the Minions. Getting the minions out of the way quickly will help tremendously. 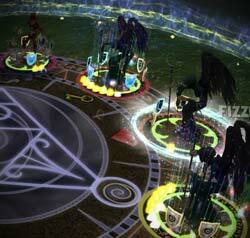 All of the Shadow Enhanced Spells are used, can easily Critical and defeat a player or an entire team. An early use of Plague/Virulent Plague are excellent to decrease the damage. Pack reshuffles, especially on your first few runs. All of the damage over time spells used in this dungeon make our pets hyper active. With Sanctuary up, and the minions defeated, healing becomes less of an issue. The Call of Khrulhu and specialty Skeletal Dragon to all can Critical and will hurt. Death Shields can help although our greatest assist is high resist. We are limited to school traps and only a few rounds to add blades. Helpful tools in here are Shadow Shrike, Prism for Storm and Death, Auras like Infallible (except when there are Draconian Squires), Potent Trap, Elemental and Spirit traps. If you find you’re having trouble gathering the 50,000 damage hit, old school tactics work quite effectively. First, stack off school traps, then add Prism, then add your school traps. Don’t forget there are TC traps for each school and TC Elemental/Spirit Traps too. Watch out for any shields by the minions! Having friends add blades the round you hit is ideal. Plan ahead of time. Keep count of the 5 round Bone Dragon ‘Clear All’ cheat. Start adding blades the round it clears. ***When we first defeat Mali, he revives with a spell like a Guardian Spirit. He has an initial health of 100 and heals himself up to 99,999. We can decrease his health upon return with the use of a Doom and Gloom before we hit. Infections do not further decrease the heal (see glitch below.) They are lost when he is defeated. There is no chance to damage Malistaire at the “reduced health” phase. Trained Doom and Gloom at 65% reduces his health to 36 and he repawns at ~36,000 health. Special thanks to the entire Duelist101 team and initially to Katherine Light/Mercenaries for Hire team for collaborating on the cheat intelligence. The badge at completion is Victor of Kan Davasi.